LOS ANGELES (KGO) -- The best athletes and moments of the year were celebrated during the 2015 ESPY Awards on Wednesday in Los Angeles. To check out a full list of the nominees and winners, CLICK HERE. Joel McHale hosted the ESPYS. The actor-comedian said he follows sports to an unhealthy level. And in his typical sarcastic way, said he's thrilled to have been asked to host the show. "Uh, I look forward to six rows of athletes looking at me and not laughing, wearing sunglasses, that's something I'm looking forward to," he said. 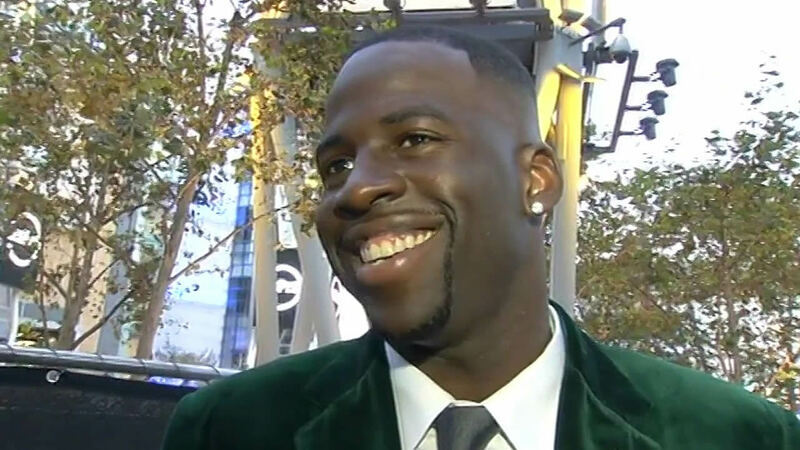 Golden State Warriors players say they had a great time at the ESPYS and are happy not only for Steph Curry, but other athletes as well. ABC7 Sports Producer and Anchor Colin Resch is at the ESPYS. Click here to follow his updates on Twitter. 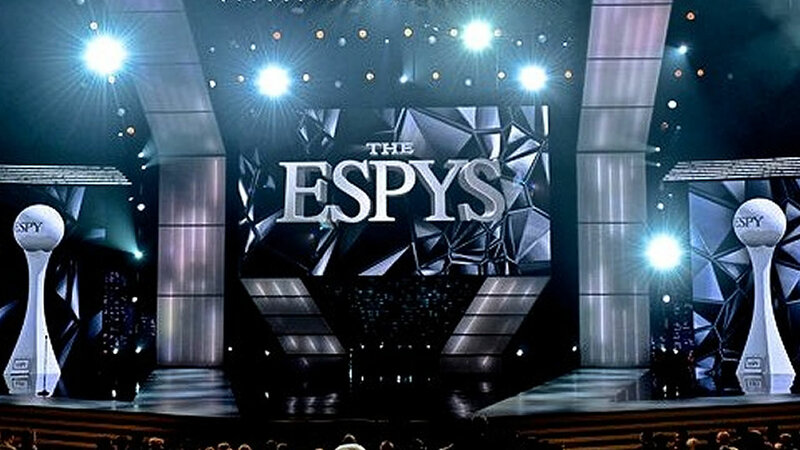 Click here for full coverage on the ESPYS. Caitlyn Jenner, formerly known as Bruce, accepted the Arthur Ashe Courage Award at this year's ESPYS on July 15, the award given each year to an individual whose contributions transcend sports. Caitlyn Jenner won the Arthur Ashe Award at the ESPYS and some from the LGBT community in the Bay Area were proud to see the moment. 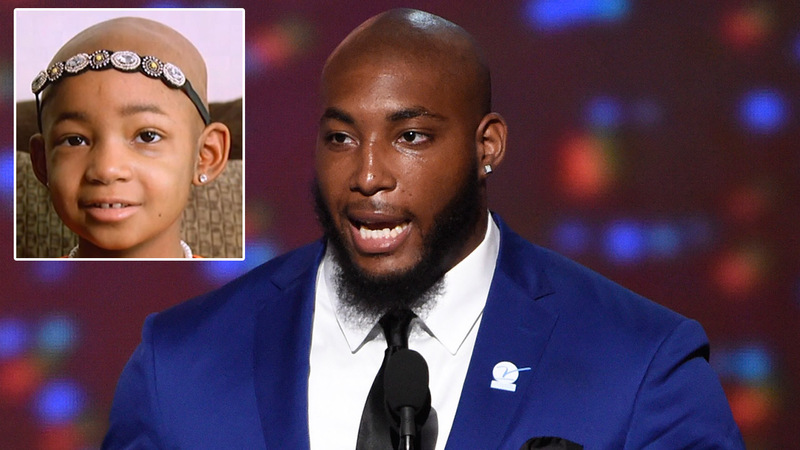 Cincinnati Bengals defensive tackle Devon Still, 26, accepted an award honoring his 5-year-old daughter Leah Still at the 2015 ESPY Awards. 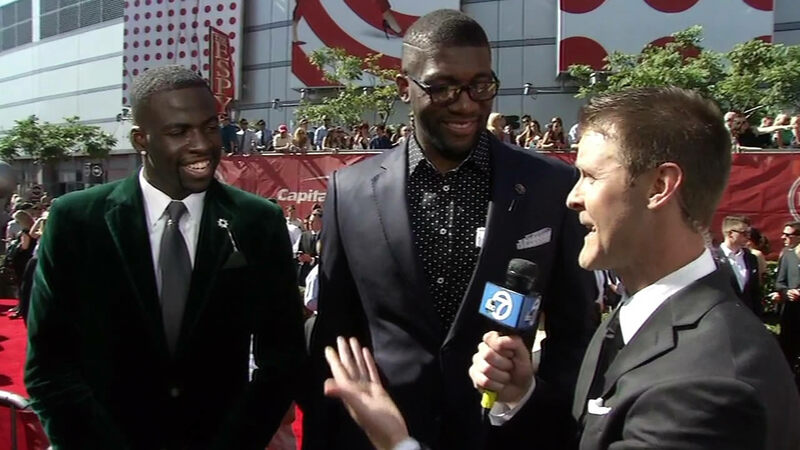 ABC7 Sports Reporter Colin Resch caught up with Golden State Warriors stars Draymond Green and Festus Ezeli on the ESPYS red carpet Wednesday night. See what all your favorite athletes and celebrities are wearing on the 2015 ESPYs red carpet! 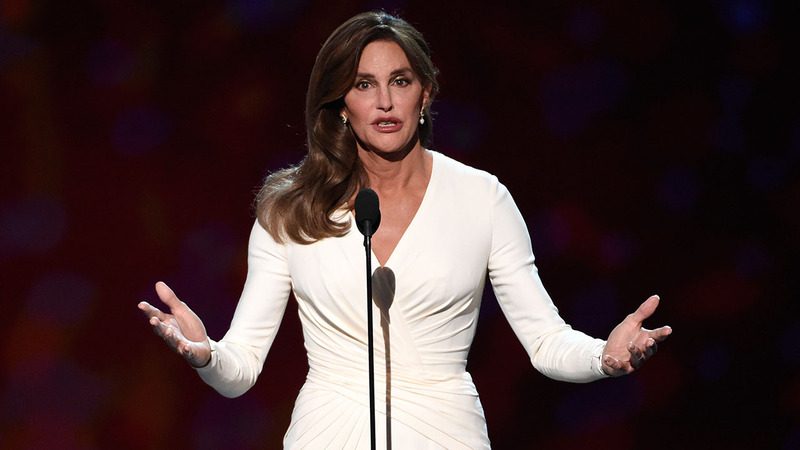 Caitlyn Jenner accepted the Arthur Ashe award for Courage at Wednesday night's ESPYS as a glamorous woman. 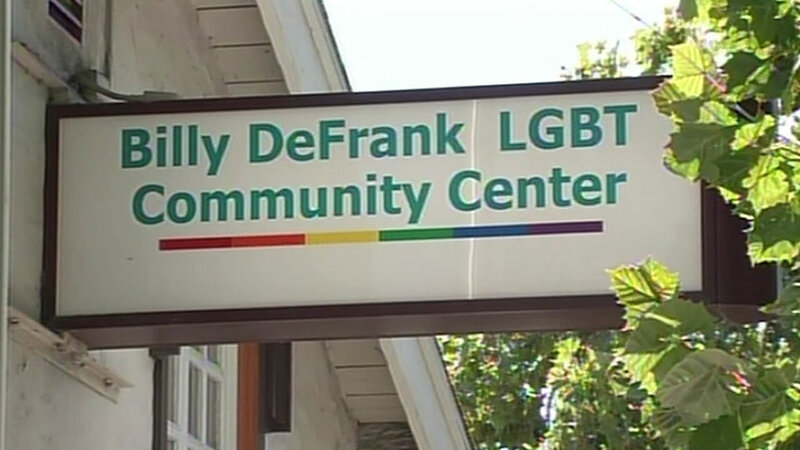 Some of the people who helped propel Jenner to Olympic gold in the 1970s are from the South Bay.